A few of our readers have asked about equipment used in occupational therapy. Actually, we use lots of equipment. Some equipment is used in evaluation. Some equipment is used in treatment. Some equipment is used to adapt an activity or the environment. I am sure there are catalogs and books on the topic. It's not quite as simple as well, "we use a stethoscope to hear heart beat or the lungs, we use a pressure cuff to test blood pressure, we use a treatment table for the patient to lie down on". Of course, here I am describing some equipment used by nurses or doctors. In occupational therapy we have a lot of equipment as we assist our patients or clients to function to the optimum in all areas of their daily life. So let us introduce you to two important pieces of equipment. The first item is called a dynamometer. I apologize in advance as I was not successful finding a royalty free image. Those interested in what it looks like can click on this link and take a look on Amazon.com. It comes in a few sizes and is used to evaluate and monitor the grip strength of a person. This is an important piece of equipment in the evaluation section of any hand clinic or work rehabilitation unit. There are norms and standards depending on age of the patient and whether the patient is male or female. No it is not being sexist it is a purely practical score due to the size of muscles and their muscle strength. The image above is found in Wiki Commons and is in the public domain. 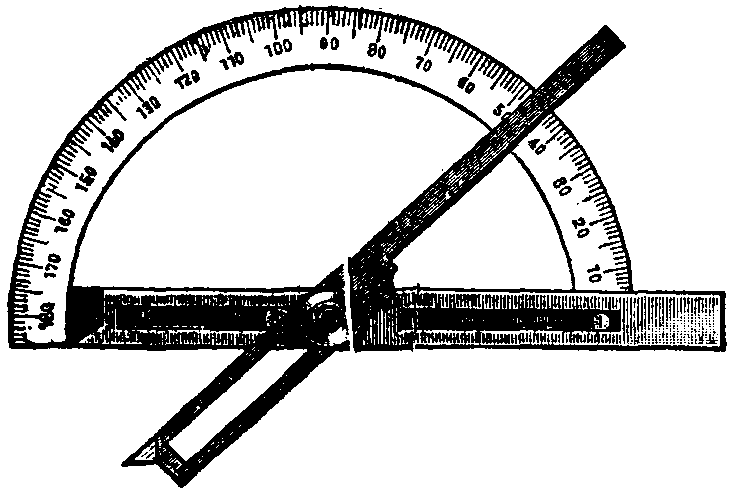 The item in the above image is called a goniometer. There are several sizes and a few different styles of this piece of equipment. A goniometer is used to test range of motion at a joint. Since joints differ in size depending on whether one tests a persons hip or fingers or another joint, there are different sizes to measure the range of motion. The goniometer is used by physiotherapists too. An occupational therapist needs to know the normal functioning of the body which means the muscles, joints, nerves and more. There are different types of joints in the human body and the specific muscles that enable each joint to bend or straighten, open or close may require strengthening for different reasons. This post outlines two pieces of equipment found in physical rehabilitation and work rehabilitation of an occupational therapy clinic, department, practice or centre. Have you heard of other equipment used by occupational therapists? Do you have a specific interest or question? Please post your question at the bottom, we'd love to hear from you.